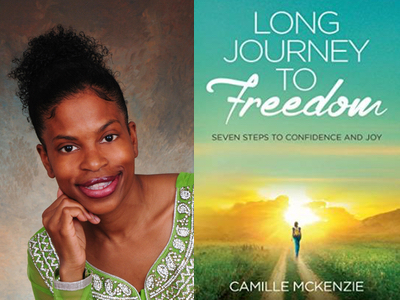 Congratulations to Camille McKenzie for her #1 International Bestseller, Long Journey to Freedom! Long Journey to Freedom: Seven Steps to Confidence and Joy. Camille McKenzie, BA is a Certified Lifestyle Coach. Her primary mission in life is to help women transform their lives by inspiring, educating, and empowering them on how to liberate themselves from whatever factor is preventing them from living a fulfilling life of freedom. Camille is dedicated to making others feel loved, welcomed, and accepted in society. Camille has created a specialized 7 Steps to Living a Joyful Life Program which is based on the power of choice, truth, thoughts, words, gratitude, contentment, and embracing the power of love. By coaching women through these seven key areas, they will stop playing small in their lives and realize their full potential, ultimately living lives filled with confidence, peace, love and joy. 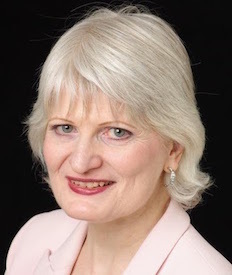 Charlene Day has been appointed Advisory and Book Review Board Member of the Bestselling Authors International Organization. Charlene is a #1 International Best-Selling, Award-Winning Author from Toronto, Ontario, Canada. Charlene Day is a Mindset Breakthrough Expert and speaker. Her expertise in the areas of wellness, lifestyle counseling and entrepreneurial coaching is the result of more than 40 years of study and practice. She is a facilitator for the Thinking into Results program with The Proctor Gallagher Institute, a Master Practitioner in Neuro-Linguistic Programming (NLP) and a Registered Nutritional Consultant. Charlene has a Bachelor of Spiritual Science, and holds a Diploma in Social Work. 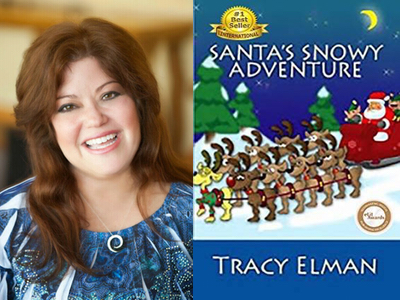 Congratulations to Tracy Elman on her #1 International Bestseller, Santa’s Snowy Adventure! Tracy Elman is a multi-talented Award-Winning, Best-Selling Author, Storyteller and Narrator. She is currently active in radio, television, and film. Tracy is gifted with a voice that is unique, versatile and compelling. Tracy’s voice is telling the story, making words come ALIVE! Tracy takes you on a captivating journey, while keeping you riveted with every word she speaks. Tracy is an engaging vibrant storyteller. Her confident professionalism and friendly demeanor make working with her on any project effortless.Her voice has been featured in the award-winning Santa’s Snowy Adventure and the award-winning “Robby’s Quest” series by DC Rush where she voiced over 65 characters. Congratulations to Jill Kelly for her #1 International Bestseller, BULLYING! BULLYING: The Solution That Works For Parents And Teachers. 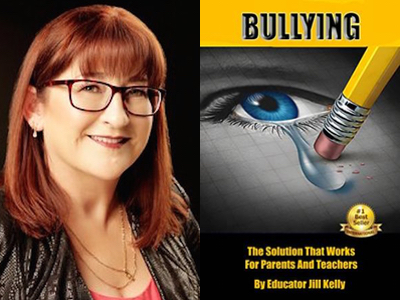 Jill Kelly is an Anti-bullying specialist and is one of the brightest minds in training, coaching and consulting on the topic of BULLYING today. She incorporates three key aspects, one being life-transforming skills, development programs as well as professional coaching and mentoring for young people, teachers and parents. For over 30 years, Jill has worked as a Secondary School English Teacher with the Department of Education and Communities. She has always had a strong involvement in the welfare of young people and held the executive role of Head Teacher Welfare for over 10 years. Working in schools, she has contributed to the success of thousands, inspiring them to their next level of development into a life without fear. Jill’s life purpose is to develop solutions that provide the next step in the conversation around bullying and she has developed programs to give young people, parents and teachers creativity, leadership and communication skills for transforming their lives. 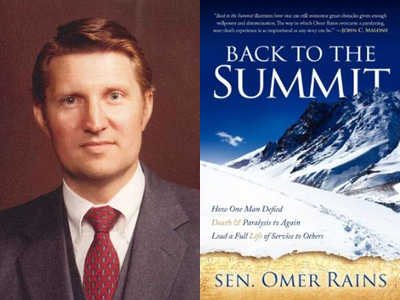 Congratulations to Sen. Omer L. Rains for his #1 International Bestseller, Back to the Summit! to Again Lead a Full Life of Service to Others. US California Senator Omer L. Rains was told “You’ll never walk again.” Rains had been a politician on the global stage, a power-broking lawyer of A-list celebrities, and conqueror of some of the highest mountains in the world. But when a paralyzing brain aneurysm and stroke hit him at age 61, he became more helpless than a small child. 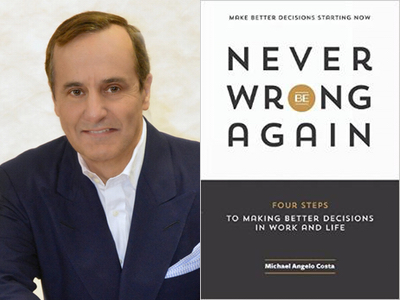 Michael Angelo Costa has been inducted into the Bestselling Authors International Organization for his bestseller, Never Be Wrong Again. Michael Angelo Costa is a lawyer and investment banker who has more than 33 years of international business experience. He has held senior executive positions with two of the largest global investment banks, and was a partner at one of the world’s largest advisory firms. Michael holds B.A., M.B.A., J.D., and LL.M. degrees and prior to his first job, his resume simply read: Born. Went to school. Still there. Michael is a frequent lecturer to industry groups on numerous topics, including optimization of organizational and personal decision making.